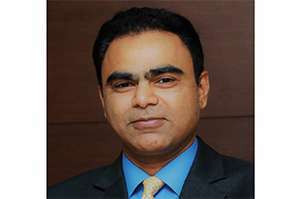 Nagesh A. Basavanhalli, Managing Director & CEO of Greaves Cotton Limited, is a global automotive executive with over 20 years of experience. At Greaves Cotton, Basavanhalli is responsible for developing strategic vision & technology roadmap for the company, leveraging the brand potential, and improve the top-line and bottom line for all business verticals. Basavanhalli has held leadership positions with multiple OEMs including more than 6 years of experience as a member of Board of Directors. He was the MD & President for Fiat Chrysler Automobile Group running India operations for the global auto major. His last assignment was as Group President of ATG Group (KKR Portfolio Company) heading businesses for Asia, M East Africa & S. America regions. Basavanhalli holds a degree of Bachelor of Science in Mechanical Engineering from Bangalore University and Master of Science from the University of Texas. 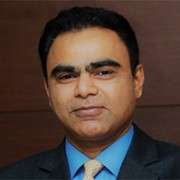 He completed his MBA from the University of Chicago Business School where he was awarded the “Booth India Business Leader – 2009” by Chicago Booth Business School.